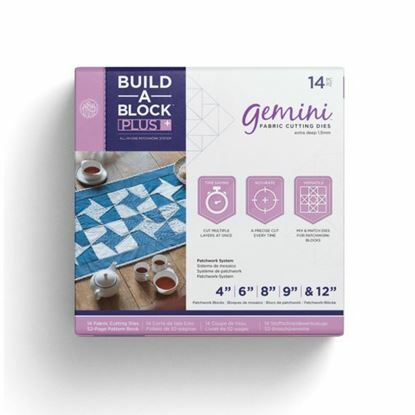 Gemini Build a Block Fabric Dies- Patchwork Plus The Threaders Build-a-Block die system from Gemini makes the quilting block cutting process so much quicker and is the perfect companion for all your patchwork projects! These dies have notched corners to make the sewing process easy and precise. The cut pieces are exactly the same size each time. Create a range of 4" , 6", 8", 9" and 12" Blocks There are Rectangles, Isosceles Traingles and Half Rectangles in each box. 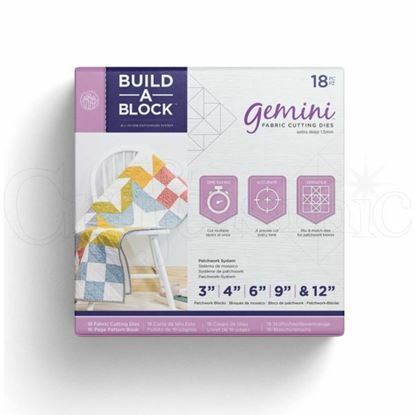 This Gemini Build-a-Block Patchwork System makes life easy and is the perfect companion for all your patchwork projects! 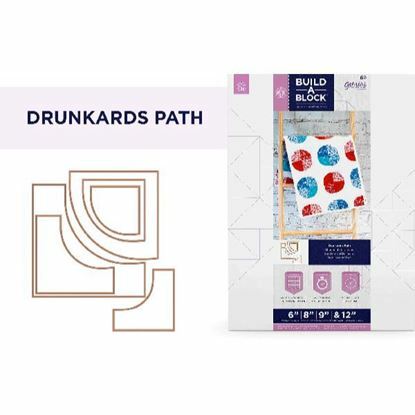 No need to worry about measurements as the dies include an accurate 1/4" seam allowance and the cut pieces are exactly the same size each time. Cut through multiple layers of fabric in one movement saving time and effort to allow you to focus on the pleasures of sewing. 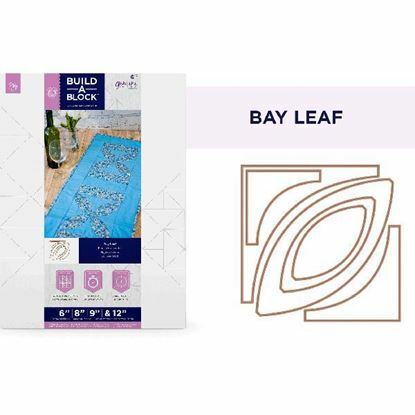 There are square, half square triangle and quarter square triangle dies included in each pack.